New Tottenham Stadium - London 03.06.2018: Tottenham Hotspur may ask the Premier League for permission to use Wembley for early home games next season if their new stadium on the site of White Hart Lane is not ready in time. Spurs chairman Daniel Levy remains adamant the ground will be completed and open for the new campaign, yet a deadline for the club to tell Wembley they want to extend their use of the national stadium has been pushed back to mid-June. Premier League fixtures for the 2018/19 season are due to be announced on Thursday, June 14 when they are published at 9am. Should any problems with the final stages of building Tottenham's new stadium arise, there are recent precedents both the club and Premier League could follow. Liverpool expanded the capacity of the Main Stand at Anfield and, while that work was completed, played their first three Premier League games of the 2016/17 season away from Merseyside. Spurs' London rivals West Ham United, meanwhile, moved into the former Olympic Stadium in 2016, yet British Athletics are also co-tenants of the ground. Again, the first three games of last season, which coincided with that arena being used for the 2017 IAAF World Athletics Championships, saw the Hammers play consecutive away matches. There are scheduled to be four Premier League games before the September international break this term, so Tottenham could ask to be allocated away days until then. if delays over the new stadium arise. This new Spurs stadium is subject to obtaining a safety certificate upon completion and - in order to be given that- a minimum of one of the three tests events must have taken place. 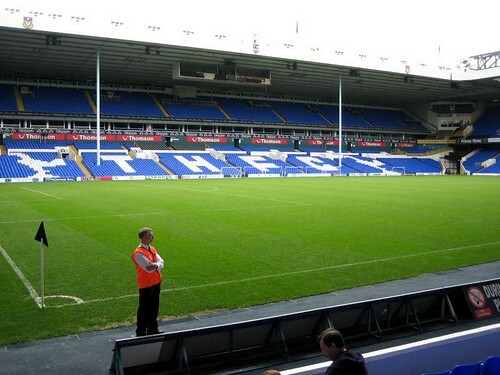 Tottenham stress the plan has always been to get their ground open in time for August and the new Premier League season, yet there is scope for contingency plans if things fall behind. If they are to temporarily use Wembley, then Spurs will need special dispensation from the Premier League to play at two different designated home grounds in a season. Current rules do not allow this. 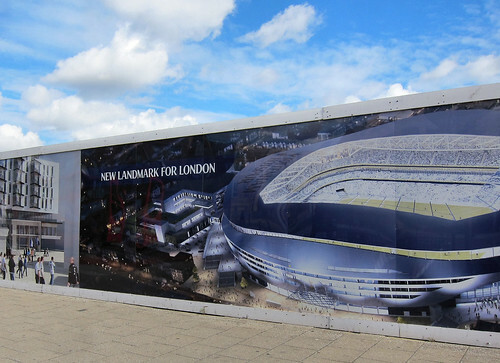 This slight uncertainty over whether their new stadium will be ready in time has impacted Tottenham's odds in the Premier League betting, with bet365 going 16/1 they win the title next term and 4/5 for another top-four finish. Stadium worries are just one minor concern for Levy, with Spurs boss Mauricio Pochettino made the early favourite to replace Zinedine Zidane at Real Madrid. France legend Zidane walked away from the Spanish giants after guiding Los Blancos to three consecutive Champions League crowns - an unprecedented feat in modern times. Pochettino has no direct links with Real, although he did play for and manage El Clasico enemies Barcelona's local rivals Espanyol earlier in his career. Tottenham are in a strong negotiating position, however, having recently tied Pochettino to a new five-year contract just days before Zidane departed the Bernabeu. It remains to be seen if Spurs will begin the 2018/19 season in their new stadium and whether Pochettino will still be in charge of first-team affairs.